Meatloaf is one of America’s most loved comfort foods. So is the potato. There was a time when ground meat was not the popular public choice. However, at the turn of the 20th century the appliance to grind your own mean fresh was introduced to the consumer. The ground versions of popular meat choices became a favorite. It is convenient and takes less time to cook or prepare. This potato stuffed meatloaf combines America’s two favorite comfort food. Add some vegetables or a fresh salad to this dish and you have a perfect dinner. 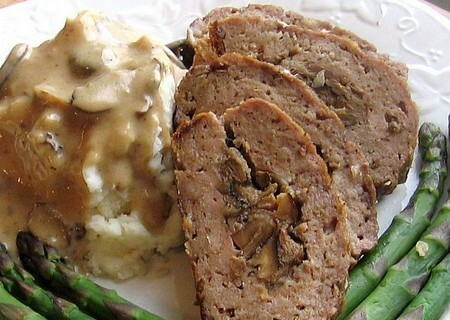 Here is how to make potato stuffed meatloaf. Prepare your oven. Preheat the oven to 375 degrees. Combine 1 cup soft bread crumbs, with the 1/2 cup beef broth, and beaten egg in large bowl. Mix well. Now add 1/2 tsp. Italian seasonings, 1 tsp. salt, 1/4 tsp. Pepper. This mixture should sit for about two minutes. Mix in 1 ½ pounds of freshly ground beef. You want to be careful not to over work your mixture. Mix the items together to loosely blend them. Place your beef mixture on a piece of wax paper so it doesn’t stick. Form the ground beef mixture into a 10 inch square. 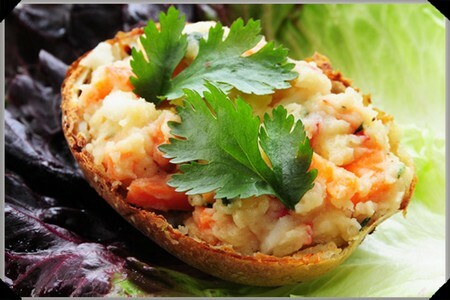 In a bowl mix hash browns, cheese, parsley and onion powder. Place the hash brown mixture over the top of the ground beef square. Cover the square completely. roll the hash brown mixture inside the ground beef square. Roll in to the form of a jelly-roll. Remove the wax paper from under it as you move along. Seal the edges and ends as you roll. Place the meat loaf roll seam side down on a ungreased baking sheet. Bake the meat loaf roll at 375 degrees for 40 minutes. In a small bowl, make the topping for your meatloaf roll. Mix1 can (8 oz.) tomato sauce, 1/4 cup beef broth and 2 tsp. prepared mustard. Spoon the sauce over the meatloaf. Top with Parmesan cheese and bake for an additional 10 minutes.